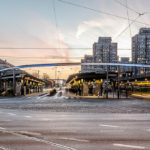 Poznan is another important Polish city, which you should visit if you really want to meet our country. It’s really charming place where you can spend really ncie weekend. Rich history, beautiful architecture and idyllic corners are the main advantages of the city. Below we want to suggest you what to see and where to go during the weekend in Poznan. 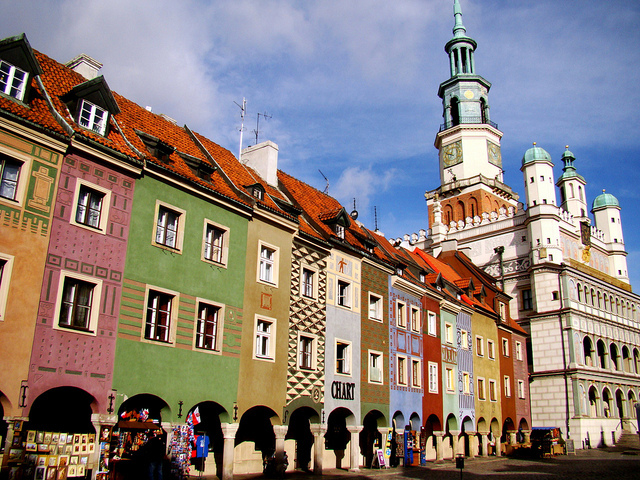 Hope you’ll like it and you’ll visit Poznan soon! Welcome! This is the beginning of your weekend in Poznan. 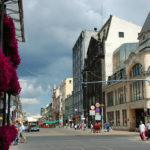 It will be unique meeting with medieval history, tales about insurgents during famous Higher Poland Uprisings and also entertaining in the modern part of the city. Let’s leave your baggage in the hotel and start to exploring this marvelous city! Some people call Poznan “The capital of Polish music” so the first thing I would like to show you is the Museum of Musical Instruments. Even if you’re not keen in music, I’m sure that you’ll be surprised and amazed. Some of the exhibits are from the ancient times!As you can see music is accompanying human from the beginning! This is truly amazing, isn’t it? The greatest impression is always made by beautiful collection of wind instruments. Some of those are such weird, that it’s hard to imagine how to play it. Another one its a kind exhibit is a fortepiano of the most famous Polish composer – Frederic Chopin. Rest of the Friday’s evening yoy can spend in more entertaining way. What would you say about the visit in pub or restaurant to get familiar with Polish cuisine? Among pubs the most interesting one is Alter Ego, where except of drinks and pub’s entertainments we can see also unique décor with a great terrarium. This is a house of python, boa and few turtles. It makes an incredible impression. Restaurant that is really suitable for supper is Zielona Weranda. It offers great salads and other light dishes. After such meal you’ll surely sleep well and that’s good, because tomorrow we have few more thing to see. Good morning! Are you ready for today’s meeting with amazing history of Poznan? 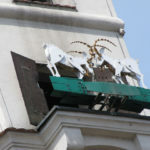 I prepared special walkthrough from medieval history of the city, trough era of Polish partition to the current times. We’ll start from the Old Trade Square of Poznan. This place came into being in 1253, so this is one of the oldest and also biggest square in Poland. It’s full of breath-taking medieval monuments. Most important are Town Hall and Town Scales. Both are came from medieval, but during the centuries were reconstructed few times. Nowadays Town Hall is one of the most beautiful examples of Renaissance architecture in Europe. Also remains of fortifications, like arsenal and guard-house are really incredible. Sightseeing of medieval part of the city can take a few hours, so it’s worth to stay for a lunch somewhere before I’ll guide you to another extremely interesting place. Choice of restaurants in the Old Square in Poznan are very satisfying so choose one and enjoy your meal. Now I would like to introduce you one of the most glorious periods of Polish history. 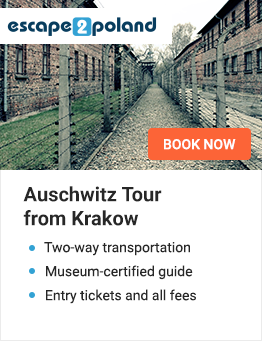 We’re going to the Greater Poland Museum of Fights for Independence. It’s really important to see how great value for Poles has freedom and patriotism. Greater Poland Uprising, first in 1806 and second in 1918 was the only two won among several other uprisings in Polish history. People of Greater Poland have shown their will of sacrifice for independence. In this museum you can get familiar with information about insurgents life, weapon from that times and historical circumstances of uprisings. Now we can change our sightseeing direction and spend some time in open outdoor. I would like to show you Poznan nature reservation known as Reservation of Morasko Meteorite. It’s not only a piece of forest with some uncommon species. This place is totally unique because of the seven craters, remains of meteorites which have fallen on Earth about 5 thousand years ago. In this area scientist has found many pieces of meteorites. One of them weight 164 kg and it includes elements which can’t be founded on Earth. Remains of things that have fallen from space few thousand years ago make the stroll in reservation really unique experience. The dusk is falling, so it’s a good time to prepare for some nightlife! 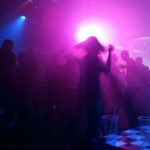 In Poznan you can find Bogota Club, which has won a price for the best club in Poland in 2007. If you’re looking for real great night entertainment you may visit it. Of course you can spend the evening in any way you please, so enjoy the time and see you tomorrow. Good morning. I hope you enjoyed last night. Before your transfer to the airport you can make some shopping or if you want to see something else we can go to theEmperor’s Castle. This monument is really enormous and its architecture can admire everyone. After short stroll between arcades of this amazing building we will go back to hotel for your baggage and then you’ll go to the airport. I hope you enjoyed the time in Poznan. Hope to see you soon in the another Polish city!